The 2015-2019 ITS Strategic Plan identifies research, development, and future deployment activities across six broad transportation program areas. The plan was developed with significant stakeholder input, both within and external to the USDOT. The current ITS research program is focused on two key priorities: Realizing Connected Vehicle Implementation and Advancing Automation. 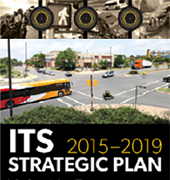 The ITS Strategic Plan lays out program categories that provide a structure for research, development, and adoption of ITS technologies that advance these key priorities. Accelerating Deployment – Advances the work from adoption to wider-scale deployment in coordination with several other DOT agencies. Accessible Transportation Technologies Research Initiative - Accessible Transportation Technologies Research Initiative (ATTRI) is leading efforts to develop and implement transformative applications to improve mobility options for all travelers, particularly those with disabilities. Automation – Focuses on topics related to automated road-vehicle systems and related technologies that transfer some amount of vehicle control from the driver to the vehicle. Connected Vehicles – Primarily focuses on adoption and eventual deployment of the system. Emerging Capabilities – Focuses on future generations of transportation systems. Enterprise Data – Continues existing efforts in operational data capture from stationary sensors, mobile devices, and connected vehicles and expands into research activities involving the development of mechanisms for housing, sharing, analyzing, transporting, and applying those data for improved safety and mobility across all modes of travel. 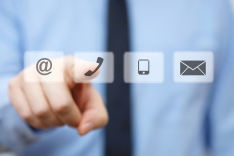 Interoperability – Focuses on how to ensure effective connectivity among devices and systems.